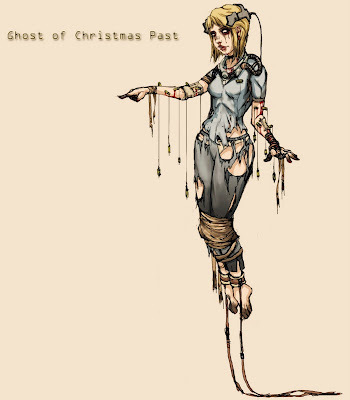 Here's the final Spirit. 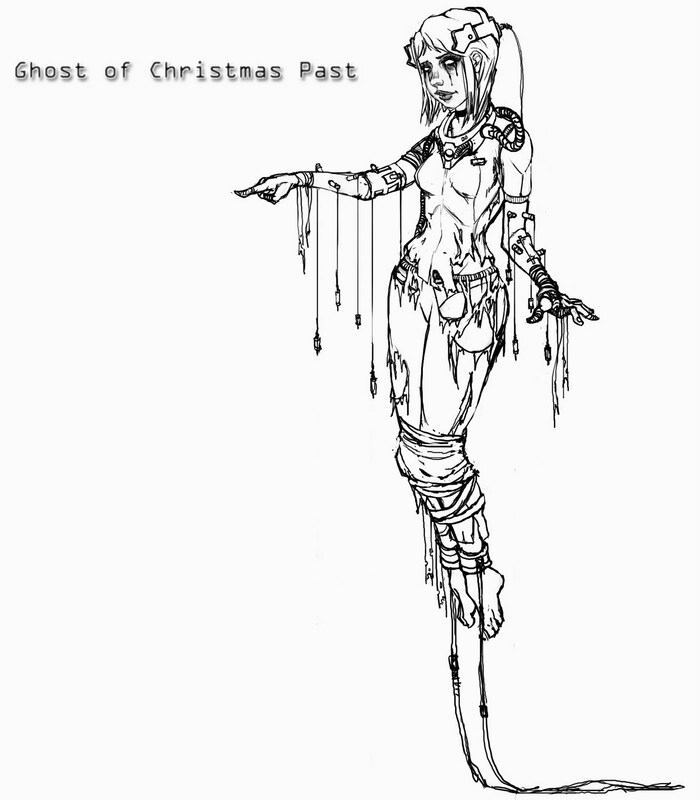 Ghost of Christmas Past. This one was tricky, and I went through many versions. I decided to go with a female because, well it's one of the most things that would plague a man's past the most. 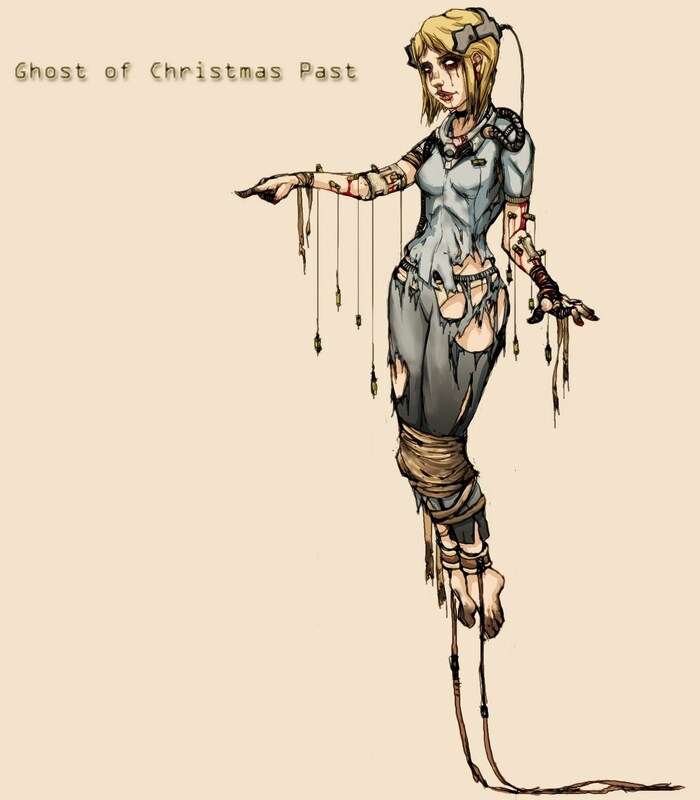 So chains were key for this spirit from the original. So what would hold down someone in the future instead of chains. Perhaps being tied down in a medical institute, with multiple needles, wires, and straps. That back story of greed, and her relationship with Scrooge is still there. Greed being what got her into this mess, and maybe a past affair with Scrooge as well. Scrooge assume's she's here to show him the better times. Let's hope he's right.